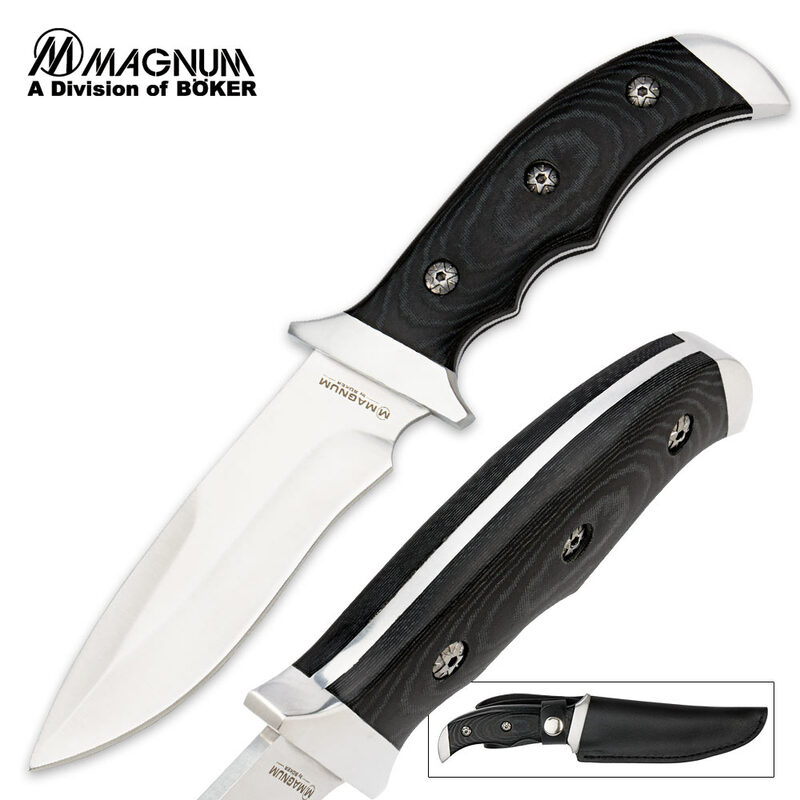 Boker Magnum Capital Fixed Blade Recurve Knife With Micarta Handle | BUDK.com - Knives & Swords At The Lowest Prices! The Boker Magnum Capital brings you all the quality you love from Boker in an attractive and surprisingly affordable fixed-blade knife. The recurve blade is crafted of 440 stainless steel with hefty full-tang construction. 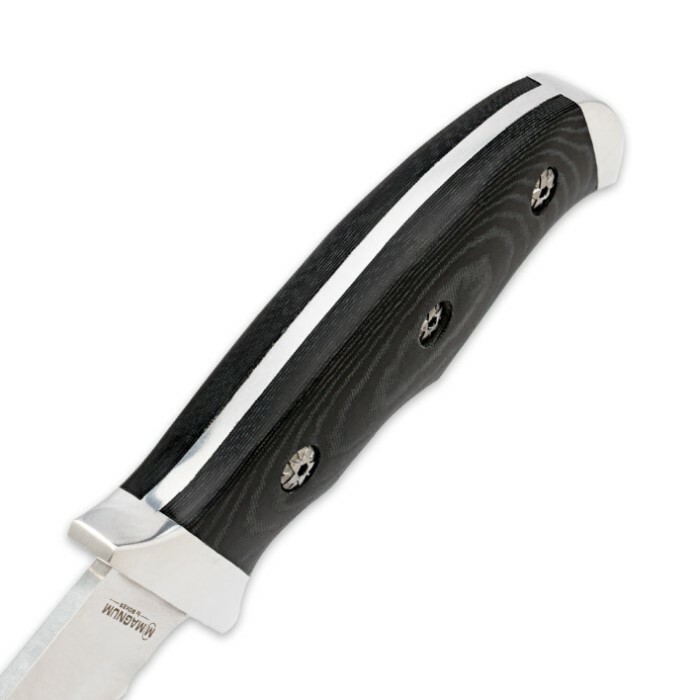 Ergonomically contoured micarta scales encase the tang of the 4-1/2" blade for a comfortable, firm grip. The handsome satin finish of the blade and stylish micarta handle are accented by an understated, brushed guard and pommel.